CARBON DUE DILIGENCE: WHAT IS IT AND WHY DO IT? COOPERATION WHAT IS IT AND WHY DO IT? CMS what is it and why is it relevant? 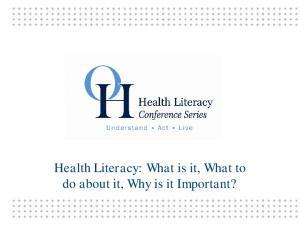 Health Literacy: What is it, What to do about it, Why is it Important? Command Presence What is it? Why is it important? How do we measure it? What Is Fluent Reading and Why Is It Important? WHAT IS MATHEMATICAL THINKING AND WHY IS IT IMPORTANT? WHAT IS BIG DATA AND WHY IS IT IMPORTANT? Google Chrome What is it and why do I use it? Project Management Automation: What Is It, And Why Do We Need It? Danger and Opportunity: Risk: What is it, how do we measure it and what do we do about it? n What has happened? n Why has it happened? n What is happening? n Why is it happening? n What will happen? n Why will it happen? CARBON DUE DILIGENCE: WHAT IS IT AND WHY DO IT? By E. Gail Suchman* INTRODUCTION Due diligence has long been de rigueur for high-stakes mergers, acquisitions, and similar transactions. Traditionally, due diligence involved assessing various legal, financial, and other risks, valuing assets and liabilities, and otherwise evaluating a potential transaction. The need for specialized environmental due diligence became apparent in the 1970s, following a rash of asbestos litigation1 and the adoption of federal and state legislation and regulations to protect the environment.2 The passage of the Comprehensive Environmental Response Compensation and Liability Act3 (CERCLA), popularly referred to as the “Superfund” legislation, which imposed virtual strict liability on landowners for contamination on their property, whether or not they caused the contamination (or, in fact, even owned the property at the time the contamination was introduced) added an entirely new dimension to environmental due diligence and dramatically increased its importance. Now, not only did buyers and sellers need to assess potential liability from the presence of asbestos in buildings, they also had to ascertain whether any pollutants were on, under, or emanating from any portion of real property that would be part of a transaction. The latest twist in transactional due diligence—carbon due diligence—stems from the heightened worldwide concern over climate change and global warming caused by the emission of carbon dioxide and other greenhouse gases from mobile sources, power plants and other industrial facilities, and even hotels and private residences.4 Starting with * E. Gail Suchman (212.806.5400; [email protected]) is Special Counsel at Stroock & Stroock & Lavan LLP in New York City in the Environmental, Energy and Climate Change Practice Groups. Ms. Suchman has over twenty-five years of experience in government, public interest and the private sector involving traditional regulatory matters, transactional due diligence, litigation, and legislation, as well as emerging issues such as environmental justice, green design and climate change. Ms. Suchman is listed in Chambers USA 2008 in Climate Change (National) and Environment (NY). She teaches at Columbia Law School and the Earth Institute of Columbia University, and lectures frequently on environmental and energy topics. 1. Many such cases were filed after the Fifth Circuit Court of Appeals found strict liability in asbestos cases. See Borel v. Fibreboard Paper Prods. Corp., 493 F.2d 1076 (5th Cir. 1973). 2. The United States Environmental Protection Agency (EPA) was established under then President Nixon in 1970. Congress, between 1970 and 1976, enacted many major environmental protection statutes, including the Clean Air Act (42 U.S.C. §§ 7401 et seq. ), Clean Water Act (33 U.S.C. §§ 1251 et seq.) and Resource Conservation and Recovery Act (42 U.S.C. §§ 6901 et seq.). 3. 42 U.S.C. §§ 9601 et seq. 4. There are actually six major greenhouse gases: carbon dioxide, methane, nitrous oxide, hydrofluorocarbons, perfluorocarbons, and sulfur hexafluoride. All are measured in tons per carbon dioxide equivalents. © 2008 Bloomberg Finance L.P. 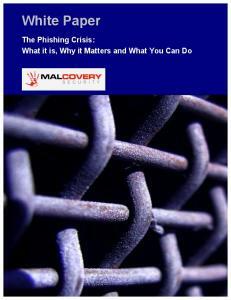 Originally published in Bloomberg Corporate Law Journal. Reprinted with permission. A standard legal definition of due diligence is “such measure of prudence, activity, or assiduity, as is properly to be expected from, and ordinarily exercised by, a reasonable man under the particular circumstances; not measured by any absolute standard, but depending on the relative facts of the special case.”9 A non-legal dictionary definition of due diligence may be even more instructive: “[Due diligence is] the care that a reasonable person exercises under the circumstances to avoid harm to other persons or their property.”10 In other words, the purpose of conducting due diligence is to avoid harm or at least to reduce the risk of harm, whether regulatory, environmental or financial. As discussed above, CERCLA expanded the scope of prudent environmental due diligence and has continued to play a big role in its evolution. The American Society of Testing and Material (ASTM) first pro5. http://unfccc.int/kyoto_protocol/items/2830.php. Although the United States was a leader in drafting Kyoto, Congress never ratified the Treaty and, at present there is no federal legislation regulating carbon emissions in this country. 6. RGGI establishes a regional cap-and-trade program for carbon emissions from power plants in the region, similar to the existing cap-and-trade program administered by EPA for sulfur dioxide and nitrogen oxide. As the first carbon-trading program in the United States, it will be fully effective in 2009, though the first auction of carbon allowances will take place in September 2008. 7. California AB 32 sets extremely ambitious goals to reduce carbon emissions from different industrial sectors, not limited to power generation, and also establishes a cap-andtrade program for carbon to be effective in 2012. 8. The bill in Congress with the most traction is the Lieberman-Warner Climate Security Act, S2191, passed by the Senate Environment and Public Works Committee in December 2007. S2191 would establish greenhouse gas reduction goals and a national capand-trade program. 9. Black’s Law Dictionary (2008). 10. Merriam-Webster Dictionary (2008). duced a standard protocol for identifying the risks associated with the presence of contamination in 1993. Now called ASTM International, its Standard Practice E1527 has been updated several times, most recently in 2005.11 In 2002, CERCLA was amended to provide liability relief for a buyer who qualifies as a “bona fide prospective purchaser.” Such purchaser must undertake “all appropriate inquiry” into the prior ownership and use of a property at the time at which he/she acquires it in order to understand the risk of potential contamination.12 In establishing rules for the inquiry, the United States Environmental Protection Agency (EPA) relied on the protocol laid out in ASTM E1527-05 to establish its minimum due diligence requirements. Unfortunately, at present there is no ASTM protocol for analyzing the potential risks associated with greenhouse gas emissions. However, the lack of an easy American-created protocol should not be an excuse for avoiding assessment of the potential impact of carbon emissions as part of overall environmental due diligence. Failure to consider the impact of carbon emissions may lead to adverse regulatory and financial consequences in the future. CALCULATING CARBON EMISSIONS EPA has required the reporting of carbon dioxide emissions from fuel combustion sources, i.e., power plants, for some time as part of its continuous emissions monitoring program. Appendix G of 40 C.F.R. Part 75 states how such carbon emissions should be estimated based on the type of fuel (coal, natural gas, oil). It represents only what might be emitted from the stack and does not consider indirect carbon emissions associated with fuel production and transportation. The term “carbon footprint” was developed primarily in England and has been widely adopted internationally. It is defined generally as the total emission of greenhouse gases in carbon dioxide equivalents from a product across its life cycle from the production of raw material used in its manufacture to disposal of the finished product.13 Thus, under Kyoto and the EU regime, the entire supply chain, not just the actual source or stack, often is evaluated for carbon emissions. In the United States, many companies have yet to embrace carbon footprinting beyond source emissions. 11. ASTM, Standard Practice for Environmental Site Assessments: Phase I Environmental Site Assessment Process, E 1527-05 (November 1, 2005). 12. See Small Business Liability Relief and Brownfields Revitalization Act of 2001, amending CERCLA § 101(35) and adding new § 101(40) to provide for bona fide prospective purchaser liability relief, codified at 42 U.S.C. §§ 7601(35)(B) and (40). 13. The Carbon Trust proffered this standardized definition in 2007, a quasigovernmental organization established by the British Government to foster transition to a low-carbon economy. See Carbon Trust, Carbon Footprinting (August 2007), www. carbontrust.co.uk; ISA-UK Research Report, The Definition of Carbon Footprint (June 2007), http://www.isa-research.co.uk/docs/ISA-UK_Report_07-01_carbon_footprint.pdf. 14. www.ghgprotocol.org. 15. See EPA, A Program Guide for Climate Leaders (March 2007), http://www.epa.gov/ climateleaders/documents/cl_programguide_508.pdf. There are approximately 150 businesses that have joined EPA as Climate Leaders. 16. www.iso.org. 17. http://www.climateregistry.org/resources/docs/protocols/grp/GRP_V3_April 2008_FINAL.pdf. 18. Id. at 1. • Environmental Regulation: It’s Here Now and More Is Coming Several states already have passed legislation and regulation aimed at restricting carbon emissions, and more will be doing so in the not-sodistant future. At the federal level, some form of legislation is almost certain. On the regulatory front, the United States Supreme Court held in Massachusetts v. EPA that EPA had complete authority to regulate greenhouse gases from mobile sources.19 That ruling surely will be extended to industrial sources. In the face of these developments, companies should attempt to be ahead of the curve and focus on helping to shape the legislative and regulatory agenda. There are many opportunities for such participation, particularly in California as part of the Market Advisory Committee formed by the California Environmental Protection Agency to assist with the implementation of AB 3220 and with the Western Climate Initiative.21 In addition, states are beginning to require assessment of the impact of carbon emissions as part of their environmental review processes, particularly when an Environmental Impact Statement (EIS) is required. Massachusetts is the farthest along in establishing requirements for evaluating climate and carbon impact in its environmental review process. In April 2007, the Massachusetts Executive Office of Energy and Environmental Affairs issued its Greenhouse Gas Emissions Policy and Protocol, which was updated in October 2007.22 It requires most large projects proceeding under the Massachusetts Environmental Policy Act23 to quantify project-related carbon emissions and to look for mitigation measures. In California, Attorney General Jerry Brown has publicly stated that the impact of carbon emissions should be evaluated as part the California Environmental Quality Act (CEQA)24 and, in April 2007, sued San Bernardino County, contending that the General Plan for development of the County did not sufficiently address the impact of global warming or evaluate mitigation measures in its environmental review of the plan. In August 2007, Attorney General Brown settled the case in exchange for the County’s commitment to implement certain energy efficiency activities, as well as traffic and parking restrictions that would mitigate some of 19. 549 US __, 127 S.Ct. 1438 (2007). 20. See Press Release, Market Advisory Committee Releases Draft Market Design Recommendations (June 1, 2007), http://www.calepa.ca.gov/PressRoom/Releases/2007/ PR11-060107.pdf. 21. The Western Climate Initiative involves seven western states (Arizona, California, Montana, New Mexico, Oregon, Washington, and Utah) in a joint effort to establish a program for greenhouse gas reductions and a regional cap-and-trade program. See www. westernclimateinitiative.org. 22. http://www.mass.gov/envir/mepa/pdffiles/misc/GHG%20Policy%20FINAL.pdf. 23. MASS. GEN. LAWS ch.30, §§ 61-62H. 24. CAL. PUB. RES. §§ 21000 et seq. 25. See Press Release, Brown Announces Landmark Global Warming Settlement (August 21, 2007), http://ag.ca.gov/newsalerts/release.php?id=1453&category=global% 20warming. 26. See Press Release, Brown Announces Groundbreaking Greenhouse Gas Reduction Plan (September 11, 2007), http://ag.ca.gov/newsalerts/release.php?id=1466&category= global%20warming. 27. WASH. REV. CODE § 43.21C.010 et. seq. 28. Executive Order on the Evaluation of Climate Change Impacts through the State Environmental Policy Act (effective October 15, 2007), http://metrokc.gov/recelec/ archives/policies/aeo/put7101aeo.pdf. 29. http://www.ecy.wa.gov/programs/sea/sepa/climatechange/sepa_letter.pdf. 30. N.Y. ENVTL. CONSERV. LAW §§ 8-0101 et seq. 31. See Final Scope for Belleayre Mountain Ski Resort Expansion, http://www.dec. ny.gov/docs/permits_ej_operations_pdf/belleayrefinalscope.pdf, and Final Scope, South Pier Improvement Project, http://www.uspowergen.com/projects/south-pier/ documents/downloads/. among other things, because of the broad impact of greenhouse gas emissions, the State was appropriately designated as lead agency.32 The bottom line: understanding a project’s greenhouse gas emissions impact is imperative if the project faces environmental impact review.33 • Assessing Risk and Determining Reduction Options Given the increased focus on carbon emissions, prudent management will undertake to assess the risks associated with carbon emissions from operations and the potential for internal methods of reducing such emissions. In an acquisition, for example, the parties should evaluate the potential long-term operational and economic ramifications of a new carbon-constrained world and factor that information into their decisionmaking and negotiations. In a transactional setting, to fully assess the environmental and economic impact of greenhouse gas emissions, it is important not only to estimate greenhouse gas emissions (using one of the methodologies discussed above), but also to evaluate the impact of potential regulatory regimes that may apply in a particular geographical area. This analysis requires a detailed understanding of the myriad state and regional climate change policies and regulations that are currently in place, as well as those that are in process. Some states, such as California, have their own regulatory regime, yet California is also very active in the Western Climate Initiative, which is looking at a different regional regulatory regime. Other states have yet to take any substantive action in the climate area, but may well join regional efforts. For example, Colorado, which has done relatively little to regulate greenhouse gas emissions at the state level, recently joined the Western Climate Initiative as an observer and is likely to join as a participating member in the future. This patchwork of climate change policies and regulations around the United States creates a significant burden for an entity attempting to undertake carbon due diligence, particularly when it has a portfolio of assets that are located in many different geographic areas.34 • Importance for Investors For investors, carbon due diligence is a necessary tool to assess the impact of carbon emissions on short-term or long-term profitability of a target investment. Conversely, an entity seeking investment capital or other forms of financing must be prepared to address questions about carbon emissions. The importance of carbon due diligence was high32. See Commissioner Decision, Town of Mamakating Planning Board, Town of Thompson Planning Board, and the NYS DEC (December 5, 2007), http://www.dec.ny. gov/public/41008.html. 33. See Michael B. Gerrard, Climate Change and the Environmental Impact Review Process, 22 NATURAL RESOURCES & ENVIRONMENT 20 (2008). 34. See E. Gail Suchman et al., State and Regional Initiatives: Inconsistencies Call for Federal Regulation, N.Y.L.J. (Sept. 24, 2007). lighted in February 2008, when several major banks issued “Carbon Principles” for an enhanced due diligence process to evaluate and address carbon risks in the financing of electric power projects.35 The issuance of the Carbon Principles suggests that in the future, lenders in other sectors will be exercising greater caution when greenhouse gas emissions are at issue. CONCLUSION For prudent management, there really is no choice but to address carbon emissions issues, and the sooner the better. In addition to legal and financial risk, ignoring these issues presents reputational and related competitive risk. CERES, a well-known and well-respected non-profit organization created seventeen years ago to work with companies and investors to address sustainability challenges such as climate change, points to the importance of “climate risk preparedness” to maintaining a competitive edge: Tightly linked to regulatory risk in the global and domestic marketplaces, climate risk preparedness will be a key driver in a company’s ability to compete. General Electric, for example, sees huge growth opportunities from its many new climatefriendly product lines, such as wind turbines, high efficiency gas turbines, IGCC power plants and hybrid diesel-electric locomotives. Ford and General Motors are currently engaged in a highstakes struggle to remain competitive as customers turn away from gas-guzzling SUVs in favor of hybrids and other lower-emitting vehicles from Japanese competitors. In China, auto sales are surging well beyond growth rates that the U.S. market has seen in recent decades. Yet, less than a quarter of current U.S. passenger cars and light-duty trucks can meet China’s 2008 emission standards.36 Though the precise shape of things to come remains unclear, carbon regulation will have an ever-greater impact on business in the United States and throughout the world. Whether a company is interested in buying, selling, investing, or simply staying current in an increasingly complex carbon-constrained world or a low-carbon economy, proper carbon due diligence will be a critical factor in assuring future business success and long-term economic viability. 35. Citi, JP Morgan Chase, and Morgan Stanley signed the Carbon Principles in February 2008, followed by Bank of America in April 2008, http://www.carbonprinciples. com/documents/Carbon%20Principles.pdf. 36. http://www.incr.com/NETCOMMUNITY/Page.aspx?pid=253&srcid=198. Report "CARBON DUE DILIGENCE: WHAT IS IT AND WHY DO IT?"